with a Sun Ra special, to boot! You know that Wednesdays are dedicated to Jazz, (at least most of the day,) and today is no different. Coming out of our Tuesday Night "That's Rock and Roll" Show which always ends with a Grateful Dead show, we will have a jazzy day of it, featuring between 3 and 5 pm, and then between 12 and 2 am a musical special spotlighting the music of Sun Ra. 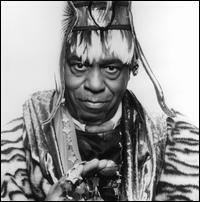 Sun Ra believed he wasn't from this planet (he held he was from Saturn), nor was his music (much of the time) either. The Sun Ra Arkestra recorded its first album in 1956, and recorded over 100 albums and wrote over 1000 songs until he died in 1993. Since Mr. Ra's death in 1993, the Arkestra continues on, and as a matter of fact the Sun Ra Arkestra will be coming to Israel and performing at the Barbi in Tel Aviv, this Motzoei Shabbos (Sat Night) December 3rd, at 10 PM. If you want to catch some good jazz, be sure to show up! Remember. we will celebrate the coming of the Sun Ra Arkestra to Israel with a two part Sun Ra special, today. Wednesday, November 30th. 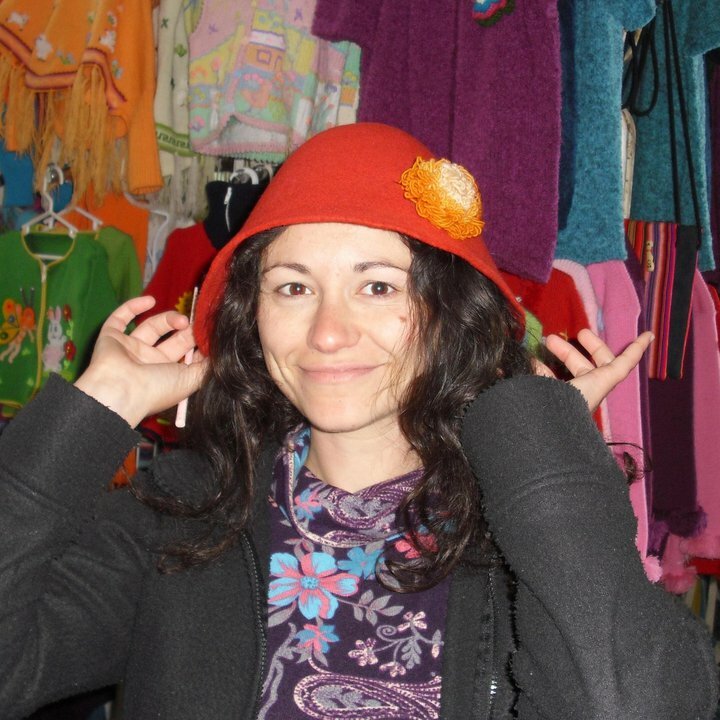 Maya at Almost Midnight - 9-11PM, bringing us into the world of night music, as only Maya can! Music, Music and more Music, (not to mention Talk and Torah) all day and all night long. Thanks to everyone who came out last night to join us at Mike's Place to celebrate our Second birthday! 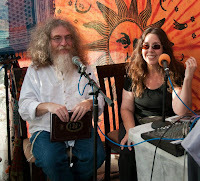 A fantastic time was had by all ... and now, it's the Day After, the beginning of Year Three on Radio Free Nachlaot . 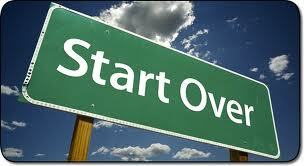 As Steve likes to say: It's all about the Day After: What are you bringing forward from your highest high? As for us, we're bringing forward more great stuff, just for you! Tuesday 6pm: Benzion Eliyahu Lehrer's series "Developing Your Neshama Through the Jewish Year" continues live from Jerusalem - tonight's the night folks, we've been waiting for - "Vav Kislev," find out why this date is so important in the "two sides of the Jewish Year" idea - we're at Mattan Torah on the side of the year of thought - you've got to hear it to get it folks, so tune in at 6pm! 7pm: HOMEGROWN HOUR - all the best music that YOU send us to play! If you've got some great tunes you want us to hear and to share with our audience, send them to us at : radiofreenachlaot@gmail.com - and join us for the HOMEGROWN HOUR 7pm Tuesday night! 9pm: Steve Levine's "That's Rock 'N' Roll" Show - Showcasing the best rock 'n' roll and featuring Steve's R&R Foundation Album of the Week - what will it be? You'll have to listen to find out! 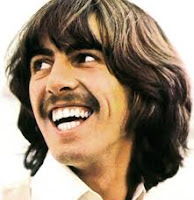 ... and lest we forget, it's George Harrison's 10th Yartzeit today (has it really been 10 years???) We're playing George's "All Things Must Pass" album starting about 4:15 this afternoon to kick off our great evening programming block. We miss you George. Maybe it's true that all things must pass, but what never passes is love, and music. "And in the end / The love you take / Is equal to the love you make." Terrible twos? Terrific Tuesdays! Mamash! 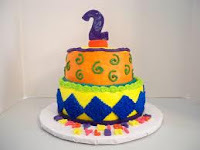 It's Radio Free Nachalot's 2nd Birthday - Celebrate with us! Come by for a l'chaim and to hang out with us! We'll be broadcasting on the radio - but it's so much more fun to see you there in person. The whole RFN mishpocha will be there - Steve and Lorelai, Maya, Brian, Benzion & the rest of the crew! WE LOVE OUR BIRTHDAY - please be a part of it! PS. Mike's Place is Kosher AND there's no cover charge - the new Jerusalem Light Rail goes right there - now what's your excuse??? Rosh Chodesh Kislev - It's Our Birthday!!! Put another candle on the birthday cake, we're another year old today ... Rosh Chodesh Kislev, two years ago today, Steve Levine and Lorelai Kude began broadcasting Radio Free Nachlaot "24/6 from deep within Nachlaot, Jerusalem's coolest neighborhood," from two very undisclosed locations ... and the rest is Internet radio history, folks! We've come a long way, we've come a long way, we've come ten thousand miles today ... but have we ever really left L.A.? Of course we have. We've been all around this world - more than once. And we'll do it again - because that's what we're all about - bringing you the best music, talk & Torah we can possibly get our hands on, every day all day, every night all night except OF COURSE for Shabbos & Chaggim. If you count the "days off" we've had from broadcasting over the last two years - once a week, plus various Chaggim - they don't amount to much time for rest. Because the radio never sleeps - the first year whoever "had the radio" at night (meaning whether Steve had it at his undisclosed location or Lorelai had it at her undisclosed location), we had to check it constantly to make sure it wasn't buffering, that our machines hadn't re-booted, etc. We've overcome a lot of the initial technical difficulties - thank G*d - although there are occasional blips, buffering (thanks so much ORANGE and HOT, our various Internet providers!!! ), etc., we're like a typical two year old - we're cute, we can feed ourselves, we can toddle about, we're basically toilet trained, and somewhat socialized - although we're not making any promises about whether or not we'll have a "Terrible Two's" phase (we think not, of course - because we're actually starting out THIRD year of broadcasting today - zero to one, one to two, you know ... it's called COUNTING). Anyway. Come celebrate with us! Monday night, November 28th from 7 - 11pm, we'll be hanging out at Mike's Place in Jerusalem (next to the Village Green restaurant, just off of Zion Square). Come have a l'chaim with us - say hello, wish us a happy birthday, help us put another candle on the birthday cake ... we're so happy to be another year old today, gevaldt! ..and don't forget - tonight, Sunday Night, 11/27, Sunday Night Live will celebrate Week 3 of the 9 Weeks of Shlomo with our special guest, Dr. Moshe Bloom. Steve and Lorelai will be live in Studio B, between 8 and 10 PM remembering Shlomo by spending time with someone who knew him! 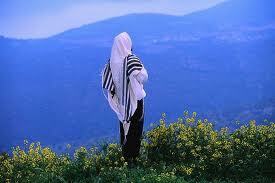 I mean we all know him, on some level, even if we never met him, but Moshe knew Shlomo and has HIS story to tell. We want to hear it, and share it with the whole world! You are going to want to listen! C Ya on the Radio (24/6) -- and then we'll see you in person (Monday at Mike's Place - remember the top of the post?) What better a way to start Year 3 - don't you agree? 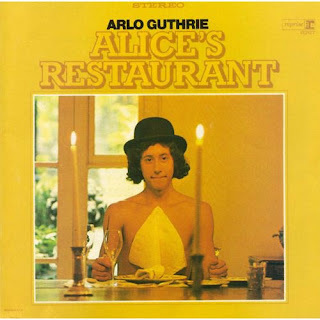 It's Alice's Restaurant Day - you know what i mean? Tradition, Tradition! You know we're all about TRADITION 'round here at Radio Free Nachlaot. And the TRADITION where I come from, on the last Thursday of the month of November is that we play Alice's Restaurant by Arlo Guthrie at Noon. Ok, so that's what we'll do. Now, which Noon? Israeli Noon? East Coast US Noon? West Coast Noon? It's like Purim - multiple megillah readings, happening all day long.... So, here's what we'll do. And don't worry, Cookin' for Shabbos will start right after Arlo at around 10:20 PM. Hey, even thought I don't like the T word, we'll make today special, in our own way. Remember, we give thanks, everyday!!!! Wednesday - a double dose of Mercury - the Planet and the Singer (Freddie, that is). 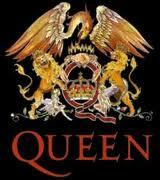 It's time to remember the past again as the Planet Mercury prepares to "go retrograde" this Thursday at 9:20am Jerusalem time, and time to remember the late, great Freddie Mercury tonight (Wednesday) with Maya, as she plays her annual Freddie Mercury Yartzeit Tribute Show, starting 9pm Jerusalem time. Now it's true that Steve and Lorelai hardly notice Freddie Mercury (except when it's time to play "Bohemian Rhapsody"), but that's because we have Maya, and it's her job to bring you music WE wouldn't necessarily play! After all, it's possible there's more to life than just Shlomo and the Grateful Dead (which is really quite silly - of course there is! After all, didn't we just add a new show last night - the Newgrass/Bluegrass Show at 8pm Tuesdays)? Maya's here tonight to bring the spicy variety of life. Listen to her live at 9pm. Of course our "Indies" DJ, Brian Blum, will be in the studio from 7 - 9pm with his pre-Thanksgiving show - check out BRAINWAVES at 7pm to find out what kind of treats Brian brings us this week. It's a jazzy Wednesday morning - Skruffy Jazz at High Noon - Brian's Brainwaves at 7pm, and Maya's Freddie Mercury Yartzeit Concert at 9pm - and of course then it will be Thursday, which means ... Shabbos is coming! Shabbos is coming! Yay, we can hardly wait! Because Planets and Yartzeits aside - there's always Shabbos, every week, just in time, thank G*d!!! Time keeps on slippin', slippin', slippin', into the future ... the days are so short, no sooner do we get up and get going for the day, then suddenly it's night again - it's just that time of year again, folks. Time to keep warm and snuggle-icious, time to curl up with a book or a pet or a loved one (or all of the above) and we've got the music and Torah to keep you company & warm your heart and soul. TUESDAY - 6pm - Benzion Eliyahu Leher's series on "Developing Your Neshama Through the Jewish Year" continues live from the House of Love and Prayer in Tzfat - if you're in Tzfat, please join Benzion in person at 77 Jerusalem St. - if not, listen on the radio! 7pm - THE HOMEGROWN HOUR - Radio Free Nachlaot's famous Homegrown Hour bringing you YOUR best music - send us your MP3 files! 9pm - STEVE LEVINE'S "THAT'S ROCK 'N' ROLL" SHOW - Steve brings it down and gives it over - the Torah of Rock 'N' Roll, as only he can! Find out what the "Foundation Album of the Week" will be and hang with Steve while he opens your ears and your hearts to the "Shoresh Neshama" of Rock 'N' Roll... you'll like it, like it, yes you will! ... and don't forget - IT'S ALMOST ROSH CHODESH KISLEV, OUR 2ND BIRTHDAY!!!! Celebrating two awesome years of non-stop broadcasting (except for Shabbos & Chaggim) - gevaldt! You're invited - please come! 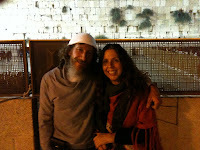 Mike's Place in Jerusalem (just off of Zion Square) Monday November 28th, 7-11pm ... IT'S OUR AWESOME ROCKIN' BIRTHDAY BASH!!! Download and Listen to "Sunday Night Live" (Week 2 of The 9 Weeks of Shlomo"
Chevre, last night's "Sunday Night Live" was a gevaldt, truly. 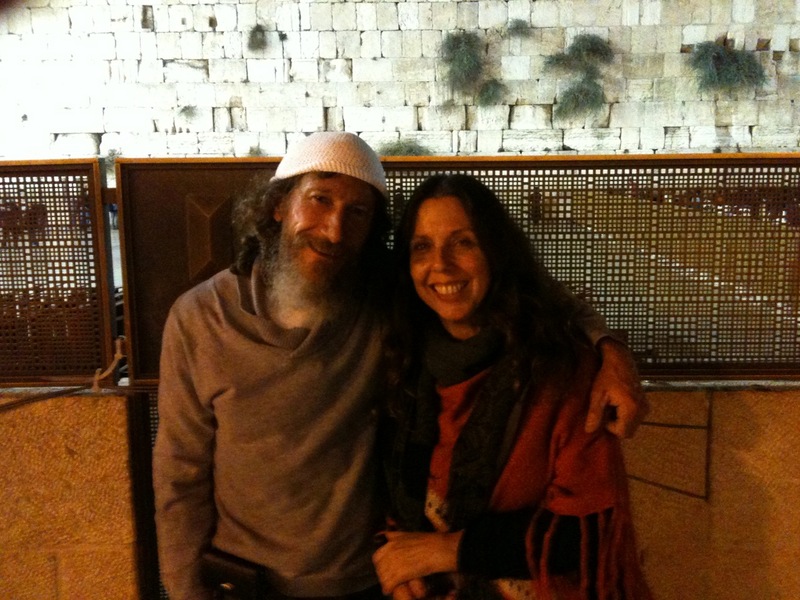 We were live in Tzfat with Yacov and Miriam Drori, founders of the HOUSE OF LOVE AND PRAYER in Tzfat, and Benzion Lehrer and Lorelai - two hours flew by like five minutes as the songs and stories of Reb Shlomo kept on flowing. 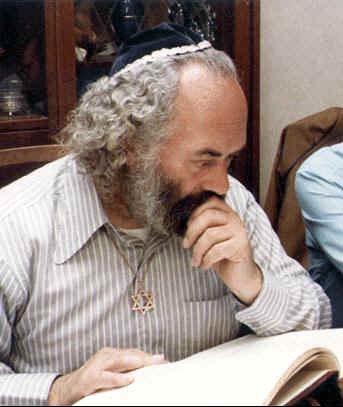 DOWNLOAD AND LISTEN TO THE SHOW BY CLICKING THIS LINK and keep coming back to Radio Free Nachlaot to celebrate the life, legacy, music and Torah of our holy teacher, Reb Shlomo Carlebach zt"l during RFN's 2nd Annual 9 Weeks of Shlomo - that special time of year from his yartzeit on 16 Cheshvan to his birthday on 18 Tevet. Every week we'll bring you new, original programming featuring those who knew and loved Reb Shlomo who have something special to share with you. Don't miss it! It's SUNDAY NIGHT again ... but not just "any" Sunday night, oh no it isn't! 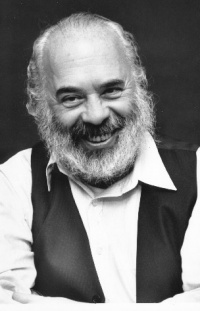 It's the second week of the second annual 9 Days of Shlomo on Radio Free Nachlaot - that time of year where we take some extra time to celebrate the life, music, legacy and Torah of our beloved Reb Shlomo Carlebach zt"l, whose 17th yartzeit we observed together only last week. TONIGHT - live from Tzfat - our guests will include Benzion Lehrer (who literally grew up with Shlomo, whose first assignment was in St. Louis, Missouri - and whose first friends in St. Louis were Benzion's parents! 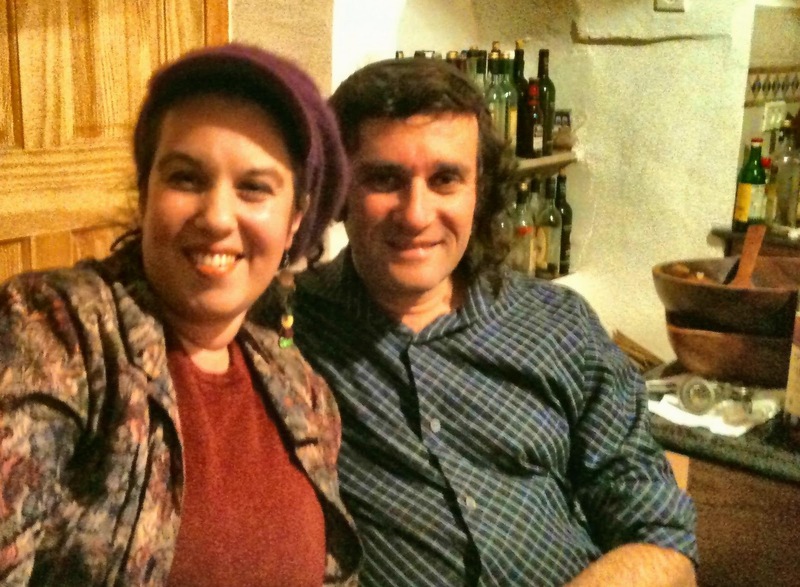 ), and Yaakov and Miriam Drori, creators of the new HOUSE OF LOVE AND PRAYER in Tzfat, a vital new Carlebach community, where Shlomo's nusach and Torah is celebrated every Shabbos at 77 Jerusalem St. in Tzfat. Join us on the radio for this very special edition of "Sunday Night Live" - and celebrate Shlomo with us - and yes we used the word "celebrate" 3 times so far in this post, but yet it seems so appropriate - Shlomo was all about celebrating Shabbos, celebrating ourselves as holy Yidden, celebrating the goodness of HKBH - after all, celebrating is what it's all about, right? CELEBRATE REB SHLOMO TONIGHT WITH US ON RADIO FREE NACHLAOT! Gevaldt, it was the HIGHEST! Watch the recording of the Aliyah to Reb Shlomo's Kever from this last Sunday, November 13th (16 Cheshvan), which was Reb Shlomo's 17th Yartzeit. Thanks to BE THERE ISRAEL, the live videocasting experts, for the broadcast and the recording. It's Wednesday, must be time for Jazz, Brian and Maya! That's right - Wednesday is the day Radio Free Nachlaot morphs out of Rock and Roll right into Jazz, and then right back to Brian's mix of eclectic-indie-rock-pop and roll, followed by Maya's foray into the world of "night music," leading us into and through her world of Rock and Roll. Now, why is tonight different from other Wednesday nights? It's different because we're doing the "Two Studio Split." That's right - Brian will be coming to you from Undisclosed Studio B, and Maya will be coming to you from Undisclosed Studio A. Kind of like 2 sides of a record - if you remember records then you'll know what I mean. Now. One more thing. Maya's very "theme oriented," as we all know. So, you ask, what is Maya's theme tonight? 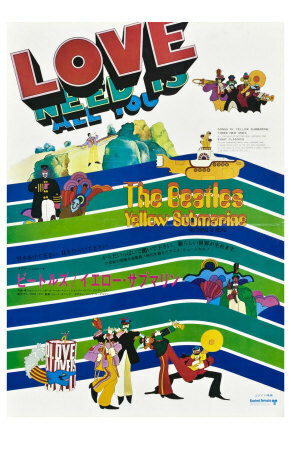 ...and the answer is: Love, Love, Love! Yes indeed. Maya wants to join Lorelai in the bliss of her upcoming wedding, so, tonight's musical journeywill be "love songs - but only the good ones - non of those kitchi ones! Songs that will make us smile, cry, take us down this memory lane or another. 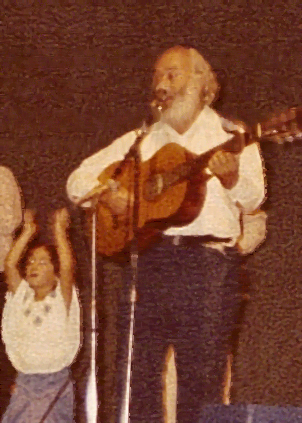 let's sing together, love each other, and remember, Radio Free Nachlaot, where Shlomo meets Jerry, and where the Love is flowing, all the time -- right from Jerusalem to the whole world! C Ya on the Radio, everybody! It's All About "The Day After"
Yesterday was so high. We're still buzzed from the experiences and events that marked Reb Shlomo's 17th Yartzeit - as hinted at in the Gematria of 17 ("Tov" = "Good"), it wasn't just good, it was truly great. The Memorial Concert on Moetzi Shabbos, the Aliyah to the Kever which we broadcast right here on our web page, the "Sunday Night Live" show with Shlomo Katz - so much light, so much goodness - gevaldt. But as Steve likes to say - what about the day after? Where are we holding the day after the big highs - what are we taking forward into our week, into our hearts, into our lives? Is it all just a great buzz and life itself becomes the buzzkiller, or is there something more substantial to be garnered from all this light and love and highness? Well, we know the TACHLIS truth here at Radio Free Nachlaot. Unless there's a take-away, it didn't really amount to much. For some of us it's one thing, for some of us it's another. For me personally it's about bringing the love of my fellow Yidden, the love of all humanity, into this world, and about being determined to make an extra effort not to speak lashen hara ("evil speech") about anyone. Because that's one thing about Reb Shlomo, he never spoke lashen hara - never. Love is an action verb. We're going to love each other and love means giving - we've got so much to give you. The best music, talk and Torah - 24/6 - and now of course we've kicked it into high gear, the inauguration of the Second Annual 9 Weeks of Shlomo. We'll be celebrating the 9 Weeks between Shlomo's yartzeit on 16 Cheshvan and his birthday on 18 Tevet with special interviews with those who knew and loved Shlomo, lots of music and Torah from Shlomo himself, and more. Stay tuned for all of that! So... where are we going? Higher and higher. Stay with us - let us take you there. 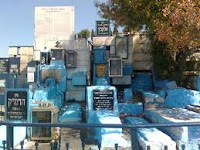 Shlomo's Yahrzeit Celebration - All Shlomo, All day long! We celebrate the life of our Rebbe, HaRav Shlomo ben HarRav Naftali, who left this world 17 years ago, today. We will spend the whole day listening to Shlomo. I mean, if on Shlomo's Yahrzeit you can't turn to Radio Free Nachlaot to play you Shlomo where else can you turn? Now, not only will you be able to hear Shlomo all day, but you will be able to join us at the Aliayat L'Kever at 2:00 PM Jerusalem time (of course, if you can come in person, please join us!) brought to you by WWW.BETHERE ISRAEL.COM - live streaming video -- and then at 8:00 PM, Sunday Night Live will feature Shlomo Katz. It will be Shlomo on Shlomo with Steve and Lorelai - Music, Talk and Torah, right on the video/radio. Folks, let's remember Shlomo together cause, you know, Shlomo was all about Together! 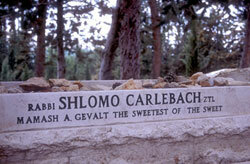 Reb Shlomo Carlebach loved the Israeli Soldiers. He taught about the holiness of Eretz Yisrael and the holiness of those who risk their lives to guard Eretz Yisrael and Am Yisrael. 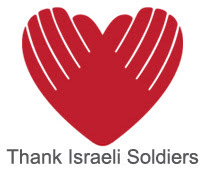 Show your gratitude l'kavod Reb Shlomo by visiting www.thankisraelisoldiers.com - supporting the hearts, minds and souls of Israeli soldiers. It's Thursday, Shabbos is Coming! That's right, it's Thursday already. Where does all the time go? ...and forget time as in days of the week, or hours in the day, where does ALL THE TIME go? like, where do the years go? 17 years since (as we like to say) Shlomo "took off." 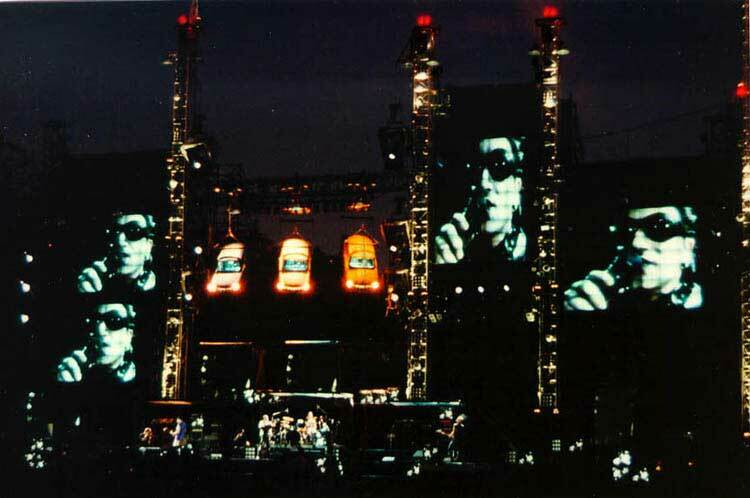 17 years since we were left to "do it on our own." He z"l, as all great Rebbes do, showed us the way, gave us the tools, and left us just in time -- in the right time -- to do it on our own. I alway ask the question: "How are we the day after?" We have amazing MIND BLOWING experiences, are moved for moments, hours, even days and weeks, but really, how are we the DAY AFTER? How are we 17 Years Later? I think celebrating a Yahrzeit is not only celebrating the life of he/she that has left, but also a chance for us to take a hard look at where we are, each year, so many years later. 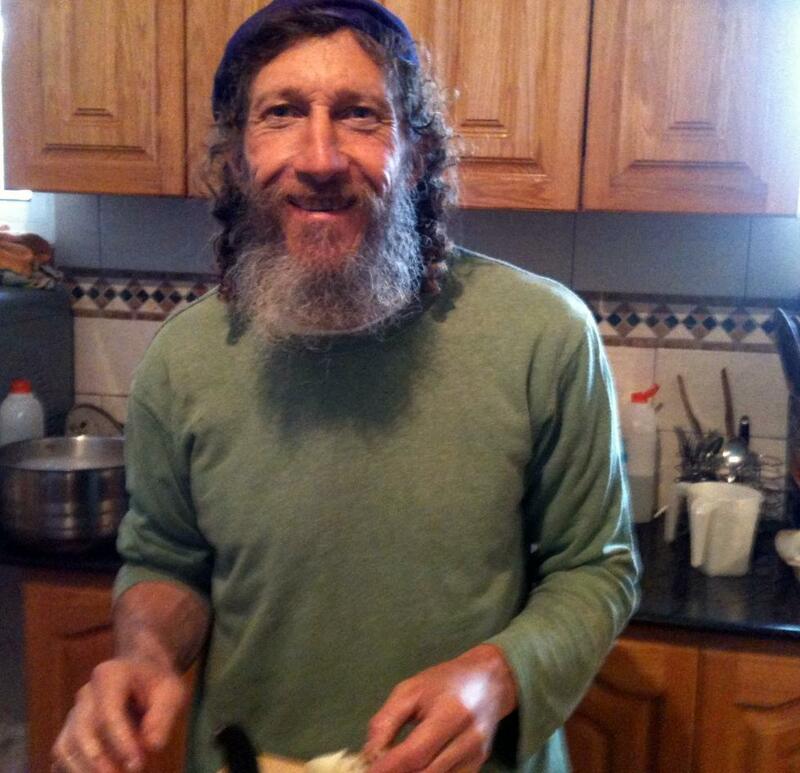 In many ways, Shlomo, as his last act of kindness left us with a Spiritual Assist - his Yahrzeit. Radio Free Nachlaot, where "Shlomo meets Jerry" actively celebrates Shlomo's life all the time. But,the Yahrzeit is still a special time. Join us on Sunday afternoon at 2:00pm - the annual ALIYA LaKEVER on Har HaMenuchot to be broadcast in live streaming video by BE THERE ISRAEL on RADIO FREE NACHLAOT. If you are in Jerusalem please join us a the Kever in person. If you're not, you'll be able to watch it in live streaming real-time video starting around 2pm Jerusalem time. And then, Sunday Night, between 8:00 PM and 10:00 PM join us for a special Yahrzeit Edition of Sunday Night Live, featuring Shlomo Katz. 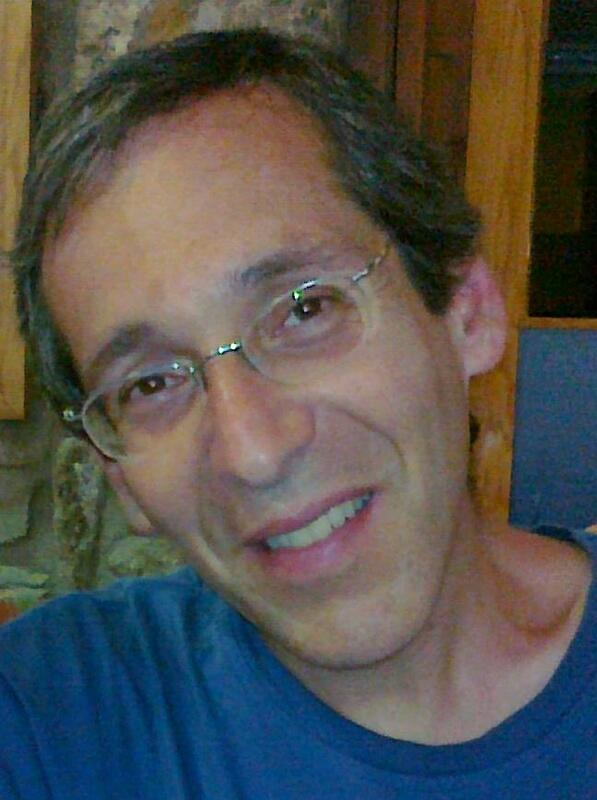 Shlomo will be sharing music, Torah, and stories of and by Shlomo. You might say it will be Shlomo on Shlomo, right here on the Video/Radio. 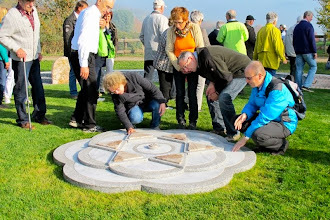 on 'parsha' - Carlebach communities world-wide will be learning Parshat VaYeira together. Join us to raise Torah Consciousness wherever you are! 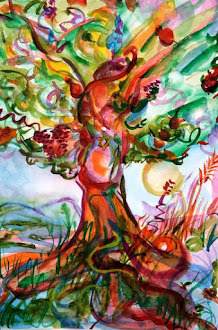 Radio Free Nachlaot's 2nd Annual 9 Weeks of Shlomo officially begins on Shlomo's Yartzeit (the 16th of Cheshvan) and runs all the way through the anniversary of his birth (the 18th of Tevet). During these 9 Weeks we will again bring you the best of the best of interviews with the original "Shlomo Chevre," those who lived with the phenomenon that was Reb Shlomo, as well as "the new generation" - Shlomo Chevre who didn't know him personally but whose lives have been touched, changed and illuminated by his songs, stories and Torah. We like to call these two groups the "Reshonim" and "Achronim" of Shlomo - and as last year, we promise to bring you the best of the best, the sweetest of the sweet, the most inside of the inside of the Shlomo Chevre as well as more music, stories and Torah during the 9 Weeks of Shlomo. Stay tuned for more details on the schedule as it evolves. We still need to prepare for Shabbos and all the big events coming up right after. 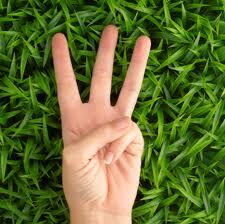 Threes on a Wednesday, are you with us? 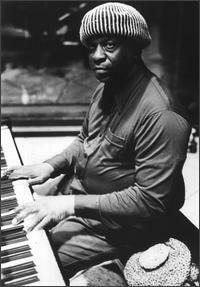 1 - Jazz all morning culminating with the Crimson Stone, Skruffy Jazz show at noon. 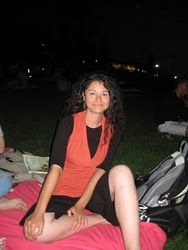 3 - Maya World of Night Music at 9, tonight featuring, "Threesomes," as only Maya can! What a great way to spend a Wednesday, wouldn't you say? Friends, we're so proud to present the annual events centered around the 17th Yartzeit of Rabbi Shlomo Carlebach z"l, our teacher, rebbe and one of the two pillars of Radio Free Nachlaot's spiritual theme - you know, we're "Where Shlomo Meets Jerry." This year is Reb Shlomo's 17th Yartzeit. 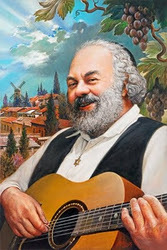 17 is Gematria "Tov" which means "Good," and it certainly is good to gather together to commemorate all the good stuff that Reb Shlomo brought into this world - and the goodness keeps on coming down, even 17 years after he left this world. Sunday afternoon at 2:00pm - the annual ALIYA LaKEVER on Har HaMenuchot will be broadcast in live streaming video by BE THERE ISRAEL on RADIO FREE NACHLAOT. If you are in Jerusalem please join us a the Kever in person. If you're not, you'll be able to watch it in live streaming real-time video starting around 2pm Jerusalem time. Shlomo Katz on "Sunday Night Live"
Shlomo Katz will be our Special Guest on "Sunday Night Live," Sunday November 13th. After such a full schedule of events - the concert, the aliyah to the kever, join Steve and Lorelai as they welcome Shlomo Katz and we share songs and Torah from Reb Shlomo together. 8pm Jerusalem time on Radio Free Nachlaot. And now for something completely different, and yet completely familiar - we'll be broadcasting live from the mystical city of Tzfat in Northern Israel this week. Tzfat - home of Kabbala, center of Jewish mysticism for centuries, plays a crucial role in the story of Lorelai's Aliyah to Israel - it was here in 2006 at the kever (gravesite) of the Holy Arizal (Rabbi Itzchak ben Luria, the "Holy Ari," father of the Kabbalistic movement which began in Tzfat in the early 1500's) that she realized she was at a crossroads in her life and it was there she cried out to G*d for help and strength to completely change her life and make Aliyah - move from California to Israel. It was in Tzfat that all this was revealed, and it's Tzfat where Lorelai has gone to heal from painful and debilitating inflammation which had reached a crisis point in Jerusalem several weeks ago. Lorelai is at Benzion Eliyahu Lehrer's Returning Light Healing Center - and she'll be broadcasting "Live from the Kitchen Table," bringing you the music, Torah and awesome personalities of Tzfat this week. Yes, that's the very same Benzion whose program "The Returning Light" has been regularly featured on Radio Free Nachlaot for over a year and a half. Benzion is part of the RFN broadcasting family (his new series "Building Your Neshama Through the Jewish Year" can be heard again this coming Tuesday at 6pm). In addition to being a rabbi and a musician, Benzion is also a sensitive and gifted healer who works with nutrition, macrobiotics, massage and energetic modalities - and has been the vessel through which HKBH has, B"H, performed great healing wonders on Lorelai (who is feeling a lot better and coming back to life, thank G*d). 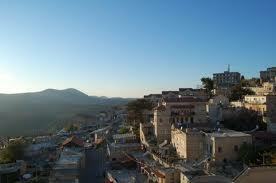 You know that Tzfat is to Jerusalem as Nachlaot is to the Old City - connected by an invisible energetic umbilical cord of light. We're always connected - whether we're geographically together or apart - and you're always connected to us. 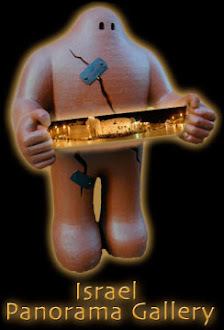 All you have to do is join us on the radio - we're always there for you, 24/6 - and remember: "Nachlaot: NOT Just a Neighborhood: A State of Mind!" We'll be bringing you that Nachlaot State of Mind this week, live from Tzfat - connect to us and let's lift it up, higher and higher! Give us a High Five - It's Thursday! 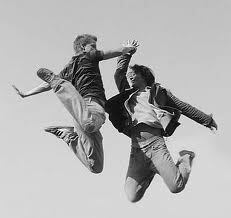 It's Thursday - Yom Chamishi - High Five everybody, we've made it to Thursday! Shabbos. One more day to drive up our numbers for this week! Yea, Drive Up those numbers. Lift them up. Help us meet our goals and stay alive. 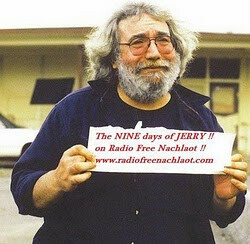 Radio Free Nachlaot, your favorite internet radio station NEEDS YOU! So what are we going to do? We're going to play the blues today, all day, just to remind you that we're singing the blues 'cause we're trying to live without you! 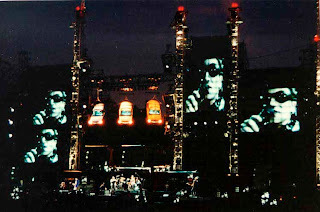 You know we can't live without you!!!! Go the Membership Tab on the web site, check out the thank you gifts we have for you, and DONATE. ....and remember, Steve's "Cookin' for Shabbos" at 10:00 PM, The "Not for Kids Only" Childrens' Hour Friday at 1:00, and our Melave Malke with Shlomo Motzoei Shabbos, all coming up! ....and remember to remember that next Sunday, November 13th, is the Aliyat Hakever for Shlomo's Yahrzeit, to be broadcast right here, brought to you by Be There Israel (www.bethereisrael.com). When you have an event in Israel that you want to share with the world, Be There Israel will bring the whole world to you! Be There Israel will also bring you a special edition of Sunday Night Live starring Shlomo Katz next Sunday, 8 - 10 PM. You'll want to be there! ....and remeber to remember that remember is made up of two words, re, and memeber. Get it? Jazz, Jazz. Israeli (jazzy) soul, and then some Rock and Roll!!! It must be Wednesday. We finished last night's "That's Rock and Roll" show and slid into some overnight/morning Jazz just to get ourselves jazzed for the "Crimson Stone, Scruffy Jazz" Show, at 12:00 High Noon. Mr. Stone promises to be on the air, but will he be in the studio, or coming to us on Digital Recording Material -- one never knows, do one? We'll keep the Jazz motif going until sometime this afternoon when we'll start getting our heads in gear for Brian Blum's Brainwaves show, at 7:00 PM. Tonight, around 8:00 PM, our friend David Brinn, former Music Editor, and now Managing Editor of the Jerusalem Post will be joining Brian to "carry on" and add his musical selections to the mix until 9:00 PM when, as always, it will be time for MAYA to lead us into the night with her special mix of Night Music, presented as only Maya can. 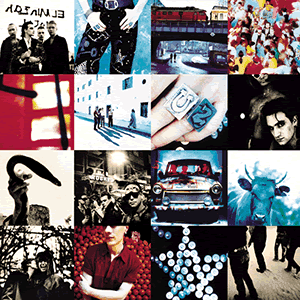 Tonight's show, between 9 and 11 PM, will celebrate 20 years since the release of "the amazing, mind blowing, meaning-full U2 album: Achtung Baby." Maya promises that we're going to hear the "songs, the stories, and everything else!" And you know, you can watch Brainwaves, Maya, and even Steve (he'll be around between 5 and 7) right here on the radio. That's right. 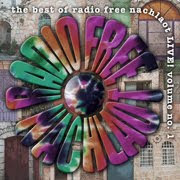 And while you're enjoying all that we have to offer, remember, Radio Free Nachlaot, is your favorite Internet Radio Station, is MEMBER SUPPORTED. Don't wait, become a member and show us how much you like and support what we're doing. Thanks, in advance, for all your support! It's Tuesday, are you ready to Rock and Roll? Now, why are the pictures so blurry? kind of like "hearing is believing.."
Let's let the music bring it all into focus, shall we?